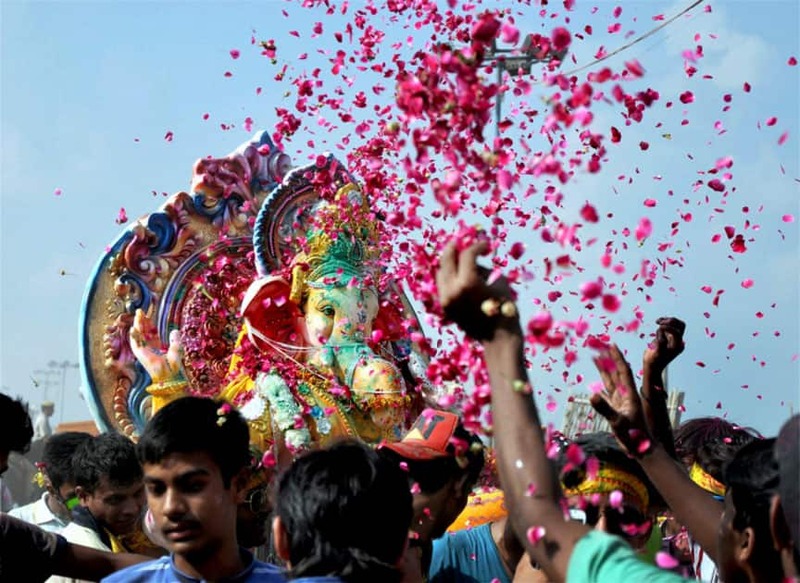 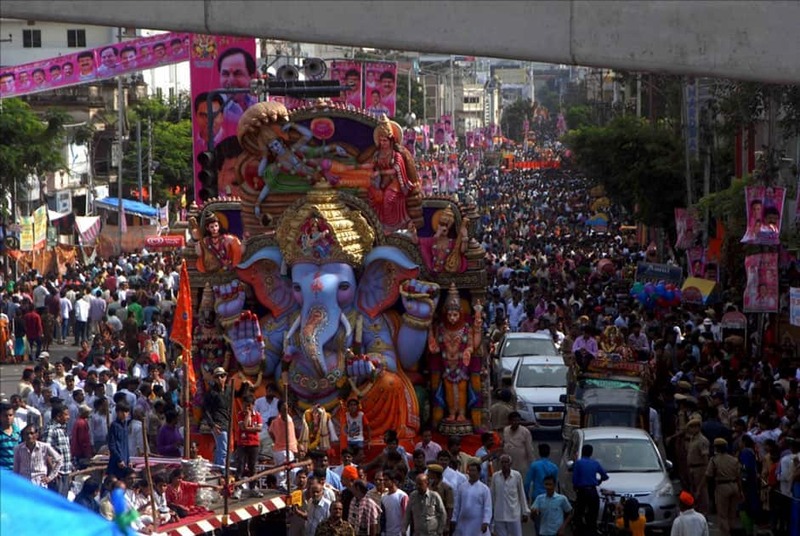 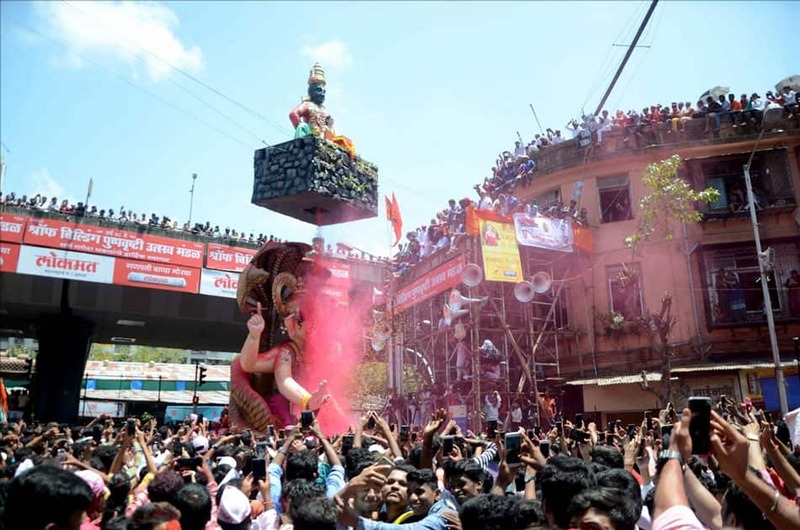 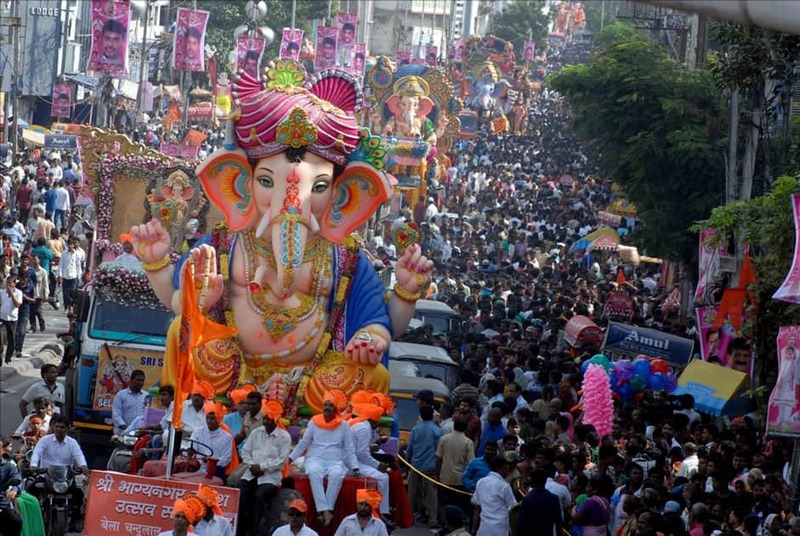 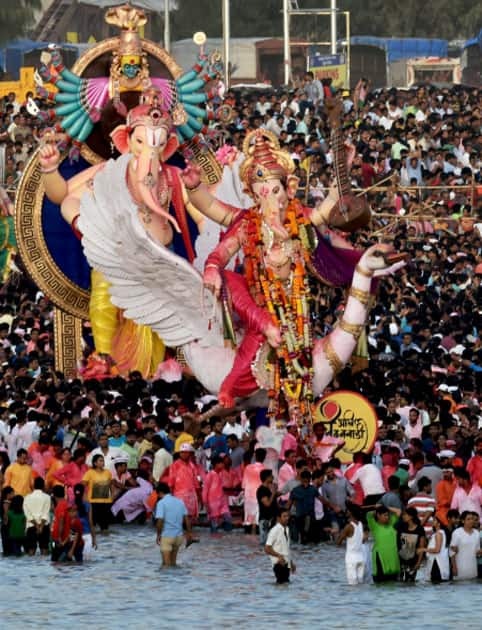 Devotees gather as a Ganesh idol is being taken for immersion from Mumbaicha Raja pandal in Mumbai. 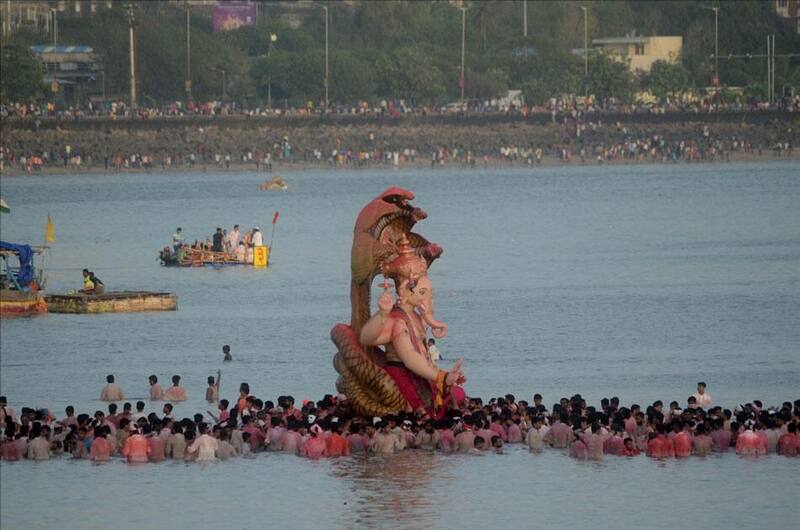 A Ganesh idol being taken for immersion in Mumbai. 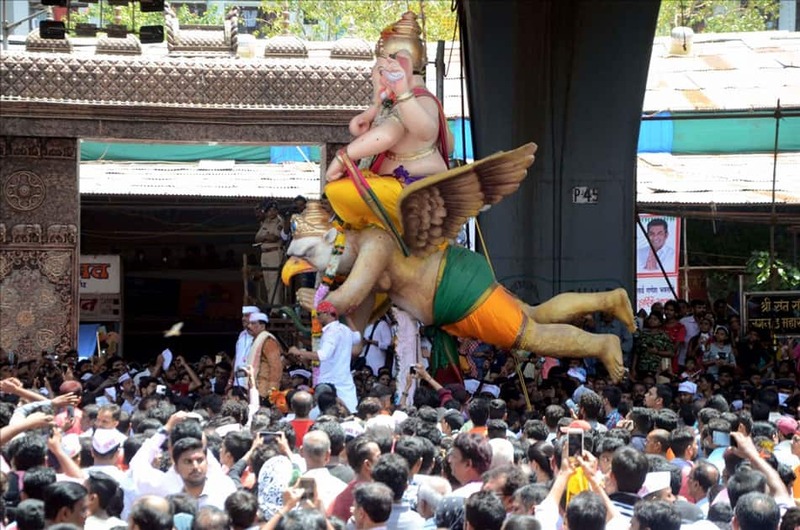 Ganesh idol of Lalbaugcha Raja being taken for immersion, in Mumbai. 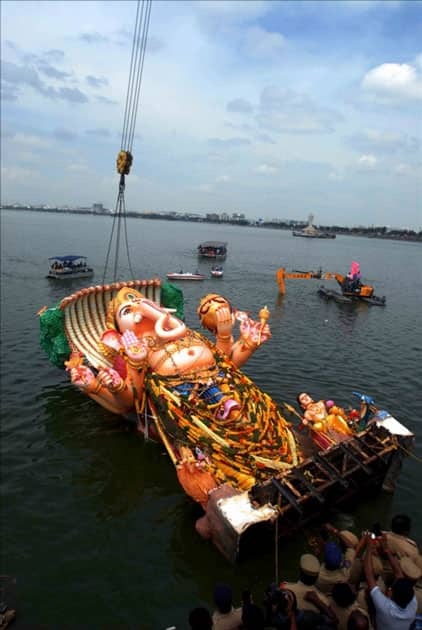 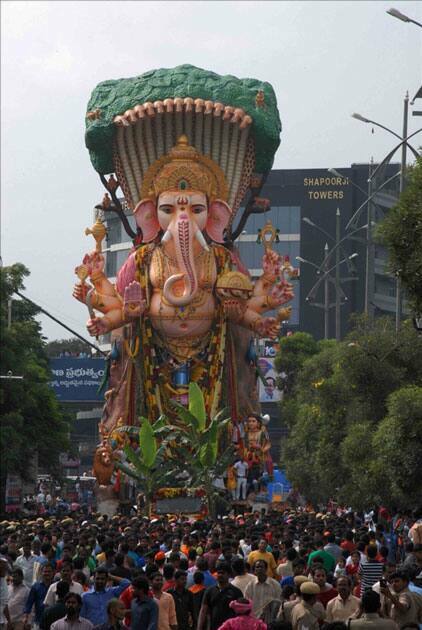 A Ganesh idol being taken for immersion in Hyderabad. 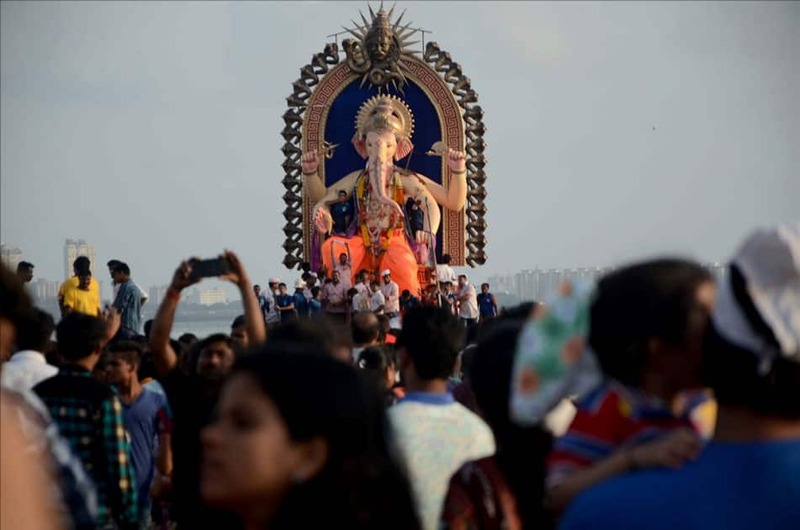 Devotees carry an idol of Lord Ganesha to immerse it into the Yamuna River during the last day of the Ganesh Chaturthi festival in New Delhi. 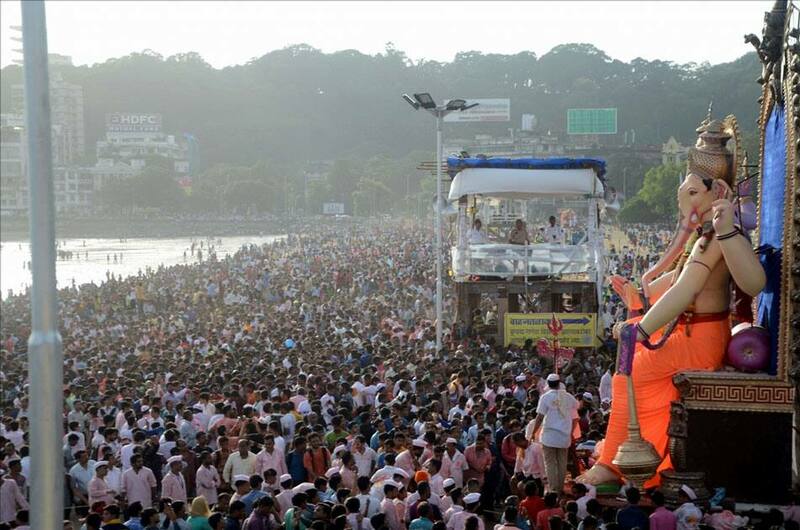 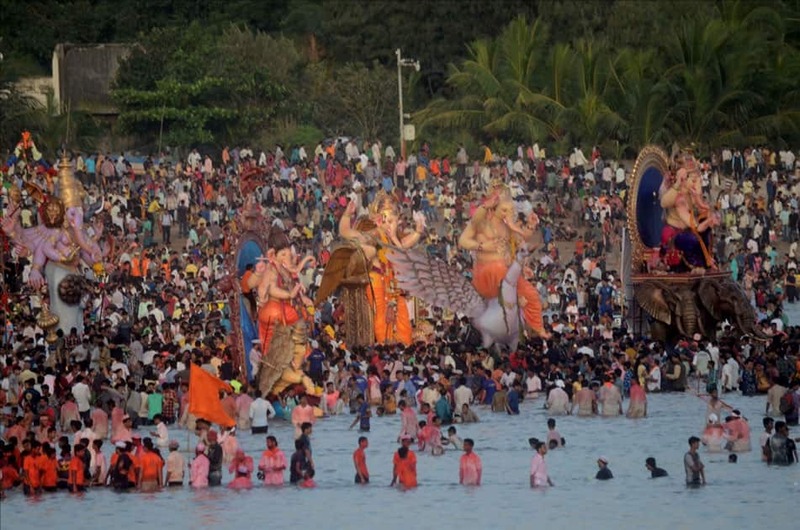 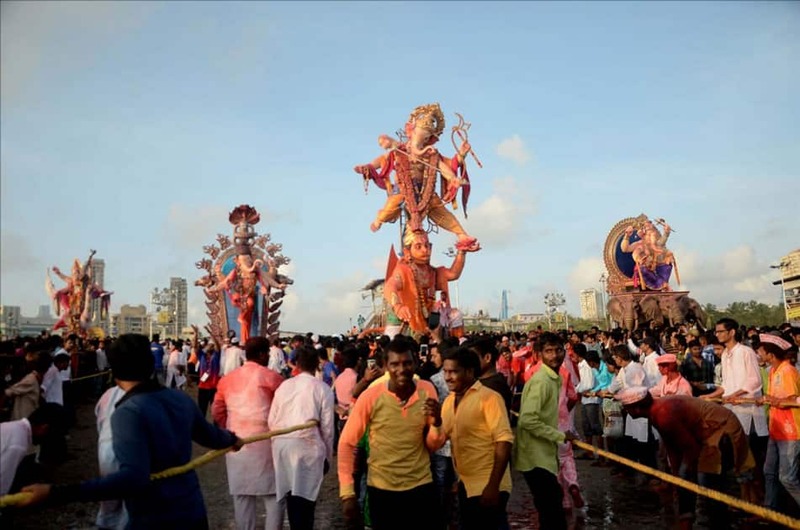 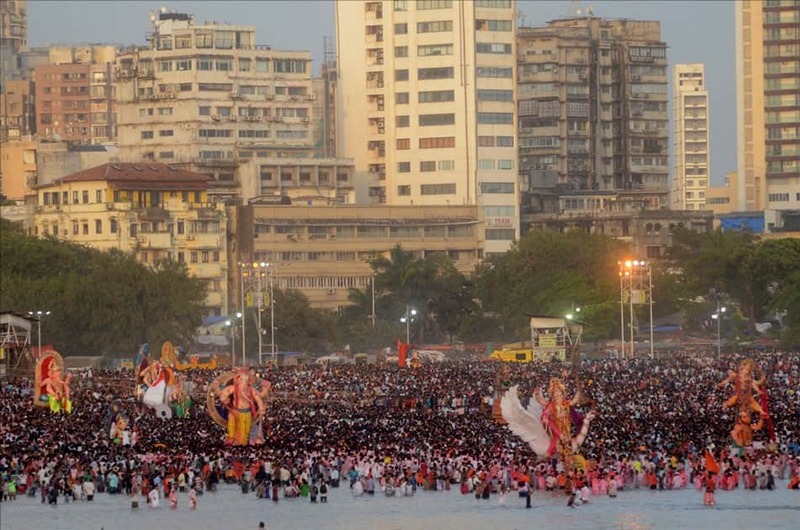 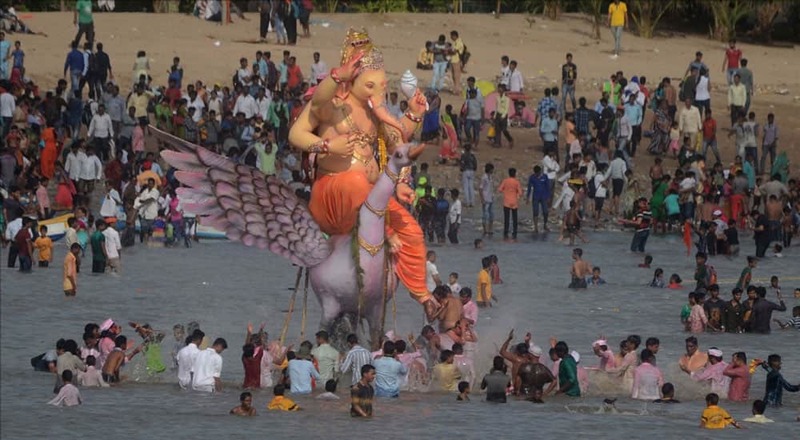 Ganesh immersion underway at Girgaum sea beach in Mumbai. 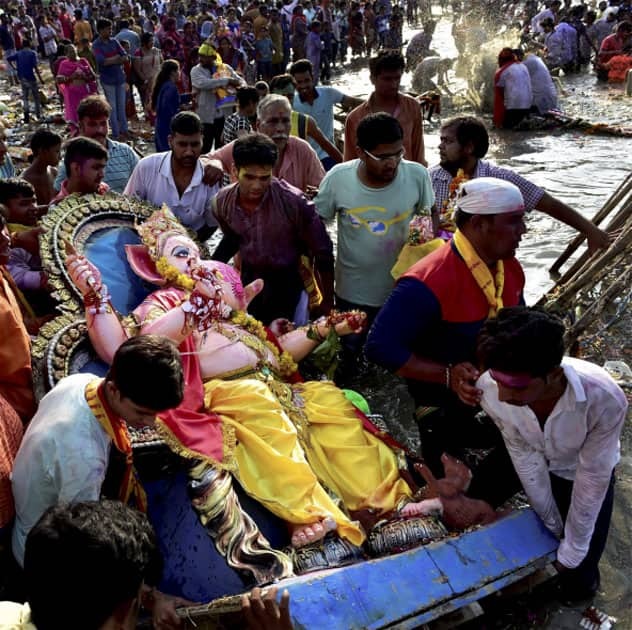 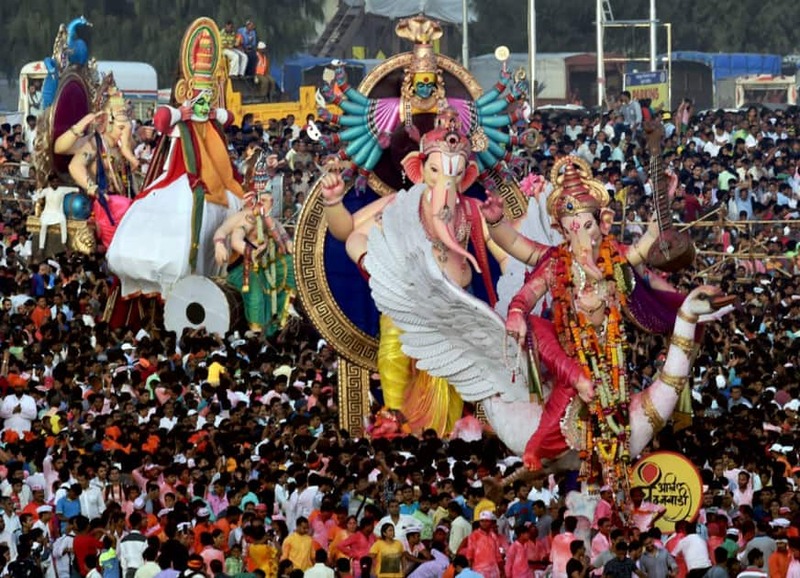 Devotees carry an idol of Lord Ganesha to immerse it into the Yamuna River at Kalindi Kunj during the last day of the Ganesh Chaturthi festival in New Delhi. 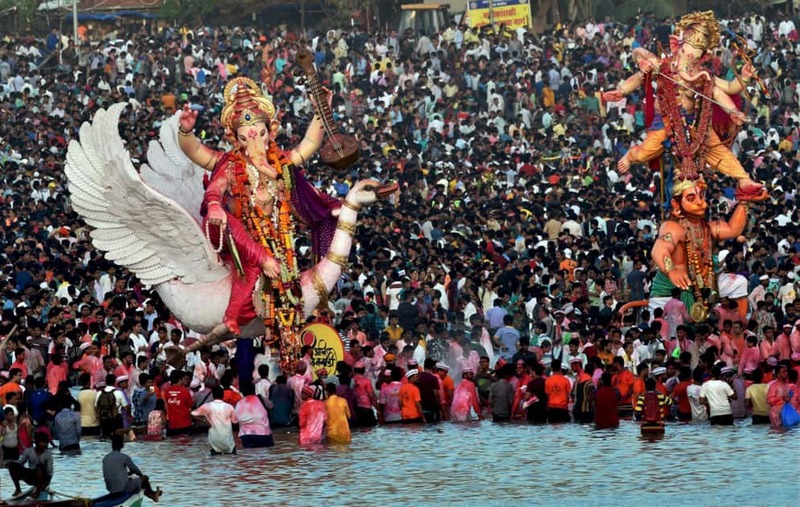 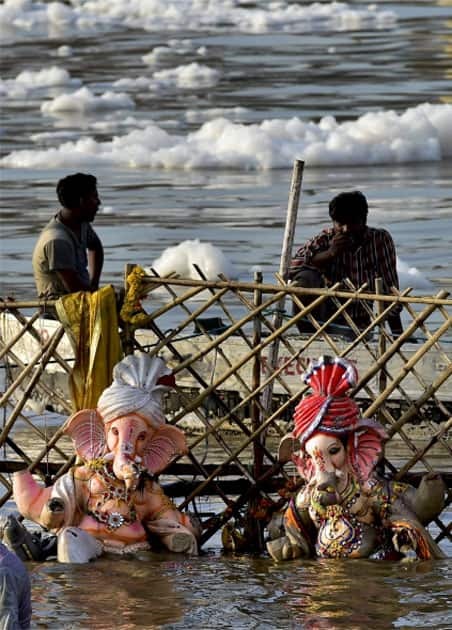 Idols of Lord Ganesha kept for immersion into the polluted Yamuna River at Kalindi Kunj during the last day of the Ganesh Chaturthi festival in New Delhi. 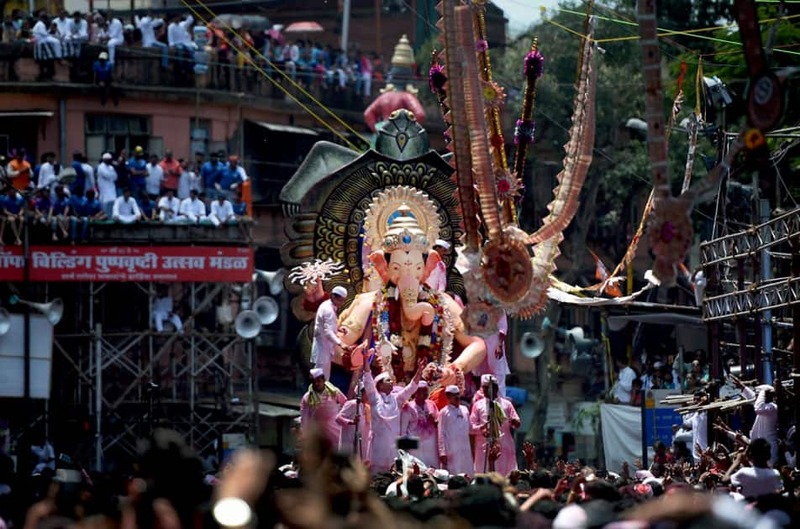 People carry Ganesh idol for immersion at Girgoan Chawpaty on the 12th day of Ganesh Chaturti festival in Mumbai.